Internet databases make it easier to research the status of old stock certificates. Finding an old stock certificate is like finding a map to buried treasure: it can initiate a search that may result in a financial windfall or a pile of rocks. Determining if a stock certificate from the 1900s is still valid requires a bit of legwork, but as long as you recognize the company and it's still in business, authenticating the certificate is not difficult. Before you start your search, it's important to acknowledge a few basic facts about stock ownership. Stock certificates provide proof of ownership of shares of stock in a corporation, but they are not the actual ownership interest. A stock certificate is not like a dollar bill or a bearer bond that is owned by anyone who has physical possession of the instrument. The owner of a stock certificate is the person whose name is printed on the face. It's personal property, so if the person who owned the certificate is deceased, the ownership rights passed to his heirs in accordance with the disposition of his estate. You may do all of the legwork to establish the authenticity of this stock certificate from the 1900s, only to have to turn over the prize to a second cousin you never got along with. Corporations are required by law to keep an up-to-date record of their shareholders. Many corporations that were operating in the 1900s are still in business today. If you recognize the corporation that issued the certificate and know it is still operating, simply look up its website and contact the investors' relations office. Each stock certificate has a unique number printed on it that the corporation can use verify the certificate's authenticity and confirm its current status. If you do not recognize the corporation that issued the certificate, you can contact the business registration office in the state where the company was incorporated to determine if it is still in business, has changed names, has closed down, or has been acquired by or merged with another company. The incorporation state should be listed on the certificate, and most states register corporations through the secretary of state's office. Alternatively, the name and contact information of a stock transfer agent should be listed on the certificate. If the agent is still in business, you can contact the transfer company to determine the status of the certificate. You always have the option of turning this task over to a stock certificate research company for a fee. If you have an investment account, you can ask your broker to research the issue. If the corporation is still in business and the certificate hasn't been canceled, you may hold a valuable security, and you can proceed to the next step of proving you have the right to dispose of it. If the corporation has gone out of business, the certificate is likely worthless as a financial instrument but may be valuable as a collectible item. 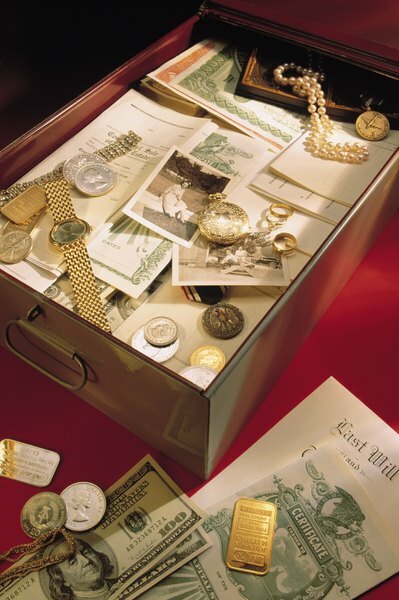 Investopedia: Old Stock Certificates -- Lost Treasure Or Wallpaper? What Is Included on a Stock Certificate? What Happens If You Lose a Quitclaim Deed?